Shlomit Gonen from Kibbutz Mishmar Hanegev has been identified as the victim in the stabbing attack that took place in Rahat on Saturday. The 65 year old woman who was attacked in Rahat on Saturday has been identified as Shlomit Gonen from Kibbutz Mishmar Hanegev. Gonen spoke to reporters about the attack that occurred while she was shopping in the city's open market. "I was planning to go into the store and felt a flick on my ear, I started hearing a ringing in my ears, I fell down and got up. My son-in-law told me that I was bleeding and began to apply pressure to my neck." Gonen's son-in-law Benny told reporters that "We went to Rahat to buy a phone case and we began to hear shouts and I saw that she fell over. I saw her lying on the floor and I put my hand on her neck to stop the bleeding." Security forces are conducting a man-hunt to find the terrorist who perpetrated the the attack, and are including mosques in the city in the search. Gonen's status has improved and she is now classified as only lightly injured. 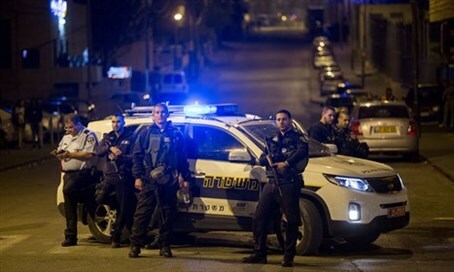 Rahat Mayor, Talal al-Karnoy, together with Regional Council head Benny Shimon, expressed faith that the security forces will find the terrorist quickly. "We will continue to work together in continued understanding partnership."